Back at Treasure Island Park—Saturday I showed you all the hoopla associated with the grand re-opening of the park. 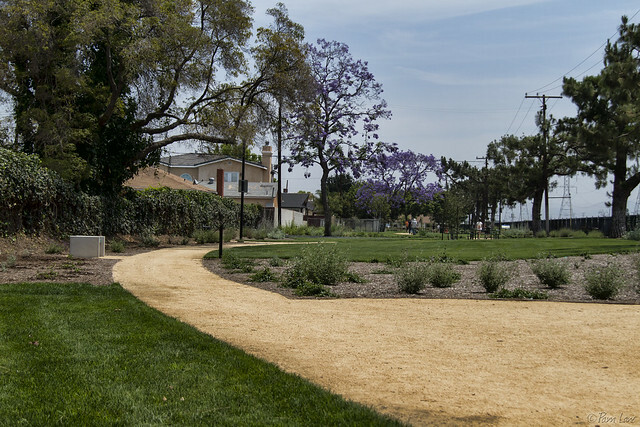 Today, in keeping with my goal to show you all of the Downey parks, I want to show you the park itself. The park is narrow—maybe 100 feet wide?—but it makes up for the narrowness by its length. Mayor Guerra, as part of his Healthy Downey program, has measured its length at 1.2 miles. The picture above is taken about half way down. 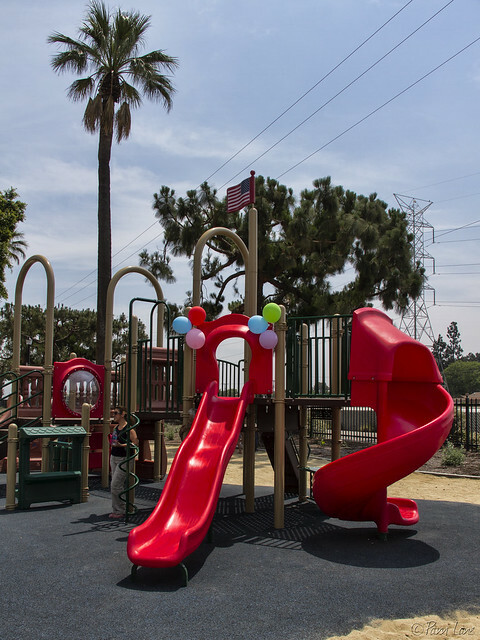 The play equipment is all brand new and much of it is tailored for the really young kids. 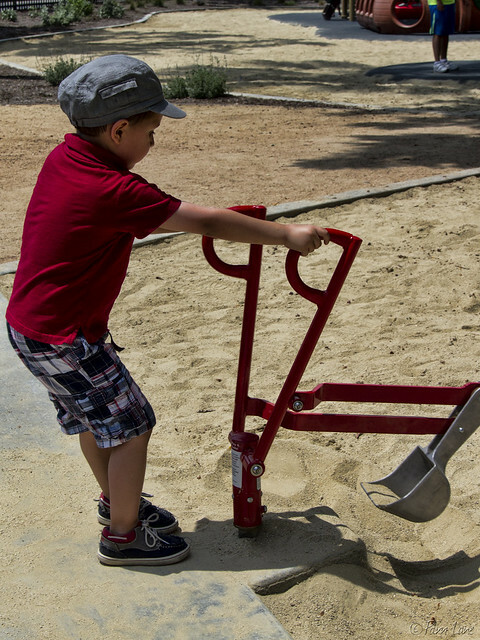 But even the adults were trying out the "digger," below, which helps young kids develop hand-eye coordination while they're having fun. 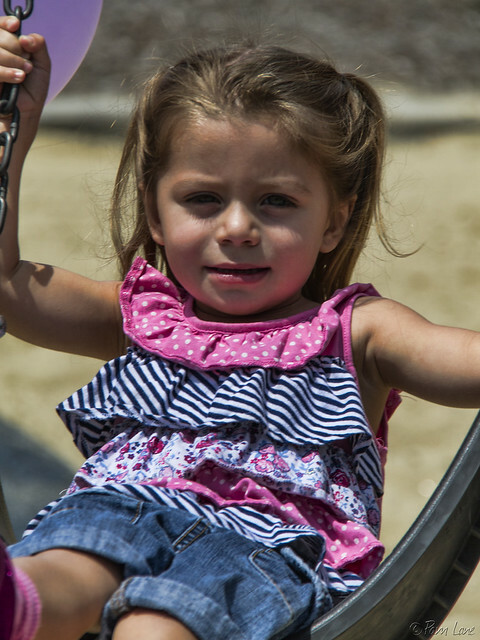 And of course, no little kid can resist the swings.